A RICS Homebuyer Report and Valuation is an inspection and condition report that assesses and summarises the condition of a house. Coming in a format that is standardised by the RICS (Royal Institute of Chartered Surveyors), this report provides homebuyers with an overview of the property’s condition, identifying the main defects and overall condition of the house. The RICS Homebuyer Report focuses on the condition of the house and the Surveyor’s general opinion of the property will also be provided. This type of inspection/report also includes a Valuation Assessment, providing the buyer with an accurate figure for the property in its current condition and taking into account the relevant market considerations. RICS Homebuyer Reports also provide useful ratings on the basis of priority/urgency for the repairs required, giving you a clear idea of what needs addressing and in what order. This type of report is intended for houses of a conventional type and construction, usually less than a century old and in generally reasonable condition and not having been converted, significantly altered, or suffered any structural damage. 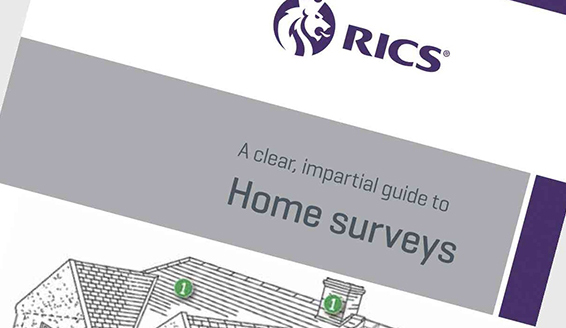 We generally advise clients that a RICS Homebuyer Report is an ‘entry level’ survey. For a more detailed, in-depth report, we also offer a Building Survey Report. To speak to us about conducting a RICS Homebuyer Report and Valuation on a property you are intending to purchase, please contact us for a quote here.